I think there are formulas to write arctan with others trigonometric functions. Maybe it can help you. Resolved the arctangent bug. Posting the code used for all three trig routines for others to optimize. 1) Fix bug where objects do not render at some orientations (Code will be posted below). 2) Fix bug where projectiles move slower as they approach the Z axis, and freeze almost entirely on the Z (Code will also be posted below). 3) Code a collision detection algorithm that interpolates points between a projectile's current position and next position (or current and last, depending on how coded), and determines if the projectile will collide with any object. ** sqrt is done as a temporary fix for the fact that RENDER_DISTANCE^2 - distance^2 != remaining distance. Could I just do sqrt(remaining) though? ** Issue is that sprites dont render at some angles of rotation (of your ship). ** Issue is that projectiles slow down to 0 speed as you approach the Z axis (+ and -). They have full speed at X. This code also uses the trig above. Strangely enough, you ship, which uses the same movement routine (MoveEntity) is unaffected by this bug. Made a few minor adjustments to the game. As you might be able to tell, graphics have accelerated a good deal from my last screenshot share. In addition you are now able to, via the Sensors tab, select any object that is within sensor range to view its distance from your ship and it's angles relative to origin. This means that to navigate your ship towards an object you have selected, you turn your ship until your rotational gauge mirrors the angles you are shown for that object, then move in that direction. Graphics have speed up mostly because I have stopped decompressing every rendered sprite in every iteration, every time and stopped mallocating/freeing space for said sprites for each object per iteration. Before I get heaped on for even doing this at all... I set it up that way initially for ease of testing one single sprite and had no reason to change it until the entire sprite set was implemented. Now that it is... I have changed that. Now, sprites are unpacked to RAM when the program starts, and 2 RAM areas are allocated for each of the two sprite functions... scaling and rotating. Those areas are repeatedly used until freed at the end of the program. Before the demo release I have yet to fix the one, annoying bug that has annoyed me really more than any other bug I've encountered programming... the fact that projectiles while moving normally on the X axis move progressively slower as you move closer to the Z axis in both directions, and stop moving completely on the Z axis. Even more mind numbing is that your ship does not exhibit this behavior... despite it using the same trig functions (angles=>vectors), and the same movement routines. Also before the demo release, I plan to implement saving/reloading your game, as well as create a few default ship stat files that you can load in to try to fight the demo AI. Each stat file will load you a ship that has different characteristics. Additionally, I will also be adding a settings menu that will eventually allow you to control different, technical, aspects of your game. Ok, help needed. This is related to the Z bug, but also unrelated, as it contributes to why some things don't render at some angles. It is the arctangent routine I wrote to get angles from the 3d vectors. Input to the routine will have two arguments, the magnitude of the translation on the non-x axis, and the magnitude of the translation on the x-axis (because both xy and z angles are relative to X). As the formula for arctan is the non-x component of the vector divided by the x component (in this case). First I handle the infinite cases. If the X value is 0, the result is actually infinite, so I manually return the equivalent of 90 degrees or 270 degrees, depending on whether the non-X axis vector magnitude is positive or negative. Then I handle the zero cases. If the non-X value is 0, the result is 0 or 180 depending on whether the X axis vector magnitude is positive or negative. That ends the special cases. For the rest of the algorithm, I am calculating the quadrant, then stepping through a lookup table, top down, returning the first INDEX at which the value of the LUT at that index is less than the ratio of the non-X to the X vector (inverted for quadrants 1 & 3). That is then mapped to the proper quadrant via 64 * quadrant + index. If both the X and the non-X component of the vector are zero. This *should* return ... well I think zero, but I'm not entirely sure (trig was never my strength and I'm honestly shocked I was able to devise an algo that seems to only break in this case). The first thing we hit and trigger is the infinite case... if(x == 0). We enter that, but the only available options are if(non_x > 0) and if(non_x < 0). Neither are true here, so we exit that having done nothing. The next thing we enter is the if(non_x == 0) statement, which is true, but again, both of its children conditions are false, so we exit that. All of the quadrant detectors are false, so we evaluate the "else", which sets quadrant to 3. Then we parse the Lookup Table, and loop down to index 0. The loop exits with index == 0, having not found a value to break with, and the return statement evaluates to quadrant (3) * 64 + index (0) = 192, or 270 degrees. This is obviously wrong. So let me ask all of you... is there a fix, or even a better way to do this? My first thought was to just add an if(x == 0) return 0; line within the infinity case handlers, but that might break other things. Edit: Upon further testing, this algorithm works when both angles are between 192 degrees and 63 degrees, for positive X values, inclusively. It breaks (by returning +-127 for the other angle) when either the rotation and the pitch are between 63 and 192, for negative X values. This routine breaks for any values between 64 and 192, where X is <0. It also seems to break when your ship is not at origin (0,0,0). The first angle is correct, but the second one seems to become 192, which is weird. Can someone please recommend any fixes? I'm not too good with trig, so while I know *when* this code is breaking, I'm not sure how to fix it. For the angle of pitch (Z axis), I only have the Z vector. Should I use an arcsine algorithm, or can I use arctangent with Z vector / distance? Once I fix this, I need to only implement saving/loading and collision. EDIT: Even when I use the built-in arctan routine, the second angle still returns one that becomes 128 (180 degrees) when the X value becomes negative. Thus, even if your ship is at angle 65, 0, once the X component of the vector becomes negative, the arctan of the second angle returns 128+angle. So a projectile being shot at 65, 0 actually is seen as being at 65, 128, and thus not rendered on screen. EDIT2: I am perfectly open to having a custom arctan routine, and indeed that is the end goal. I'll try to write a better one myself eventually unless someone else beats me to it (my old one is above for anyone wishing to fix it up). For anyone interested, the data we have is: (1) the vector magnitude (distance), (2) The component of the vector on all 3 axis (X,Y = horizontal, Z = vertical). The intent is to return two angles within the range [0,255], corresponding to the true angle degrees [0, 359]. EDIT3: atan2(y/x) works perfectly fine, wherein the signage of x and y comprise the proper quadrant of the angle. However, doing atan2(z/x) causes atan2(0/-X) to return 128 (180 degrees), which is correct, yet wrong in my case. How can I stop this from occurring when the Z component of the vector is 0, but yet treat the angle itself properly when the Z component of the vector is non-zero? It's been a while, hasn't it. With the new system, not only can I deal with modules in a more streamlined fashion, but I can also create multiple ship instances (not quite sure that'll be needed, but still). (1) The warp core (primary power system... will provide all systems a slight boost when using). (2) Auxiliary power (backup power system, warp drive will not function, but should sustain ship in combat and repairing). Unlike before, where the entire ship had to be swapped over to either main power or auxiliary, it will now be possible to set modules individually to use different power sources. Last but not least, it will also be possible to set priority on certain modules. This will cause these modules to draw power before others (in the event power supply is unable to keep up with all modules, you can alter priority to keep combat systems powered). It's been a while, so I figured I would share some of the recent progress with this project so people know the project isn't dead. I haven't had as much time as I wanted to have to work on it, so progress has been slow, but it's still coming along. When loading a module, you call GetDataPtr(), which then determines the type of the module, then calls the secondary functions, GetSysDataPtr() or GetTactDataPtr() and later for Misc(). These handle figuring out the subtype and then accessing the correct data structure for that module, where either max speed, generator output, etc (different data for different modules) are stored. That is then returned as a (void*), so that I have one single routine. Later, depending on what module type/sub type it actually is, I can cast it back to it's correct type. It just seemed repetitive to keep repeating the same code to retrieve the data structures, when I can just use void* as a passthrough. Secondly, the screenshot above shows unloaded modules because I need to re-make the ship appvars for testing, so for now, the modules being read out by the program are empty. In other news, I've now got commandblockguy and I think GregsAStar looking into the USB/server-end aspects of this while I work on data management, and beckadam helping with my more-unstable-than-my-brain rendering engine. So in all, progress is happening. Another planned feature of this game is the availability of the Time Drive, an extremely overpowered piece of technology. This tech can only be acquired through completing very difficult quests, and it has very steep power requirements when installed. The Drive may be configured to affect certain aspects of the the server-state... weapons locations, other ship locations, damage to other ships, damage to your own ship, the location of your own ship, planet states. When activated, the Time Drive causes the states of any selected entities to begin to revert every tick (so each forward tick moves those states one tick further backward). The more entities the Drive is set to affect, the more energy it draws... to the point where it will be impossible to run the Time Drive for more than a few seconds at a time. Additionally, the more physical entities on the server have their positions changed by the Drive, the more "temporal violation" points you get. Higher numbers of points cause Temporal Agent ships to spawn and attack you. Chroniton torpedoes are an effective response to this technology, are they are immune to the Drive's effects altogether, and their impact with a ship running a Time Drive disables said drive. Updates to the project's website on ClrHome will be coming soon. 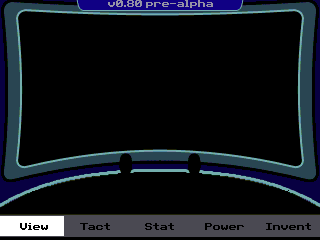 Got the healthbars and power system redrawn onto the new GUI. Power configuration for each module is now in the same place as the healthbars and is altered from there. 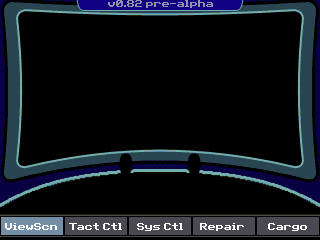 Same for shields and weapons on the tactical screen (although the GUI will be set up differently than that for system). Now I have a question for all of you. 1) Only one module allowed on at a time, activating one disables the other. 2) Modules may be activated simultaneously, if more than one is online, the first module takes the brunt of the weapon, bleedthrough from first module is deflected by second, ship is only damaged if damage makes it through both. 3) Modules may be activated simultaneously, if more than one is online, they combine their damage resistance and health stats. Damage is split between the two. Alright, thats a vote for that. Also, thanks!! You might also want to show EaghanScarlette some love for that, because that was her design. iirc, somewhat how Minecraft handles armor mechanics? You might also want to show EaghanScarlette some love for that, because that was her design. Vote for which Shield setup you prefer! There are 128 users online: 3 members and 125 guests. © Copyright 2000-2019 Cemetech & Christopher Mitchell :: Page Execution Time: 0.122037 seconds.